A quality running shoe should be supportive without sacrificing performance, and the Brooks Ghost 11 Running Shoe does just that. 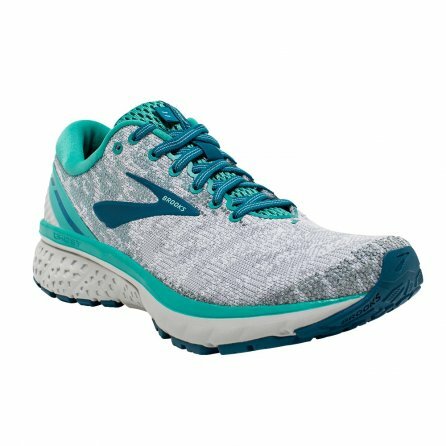 These running shoes are lightweight and have quality support thanks to the BioMoGo DNA that puts soft cushioning underfoot so the miles will pass without a care. These lightweight running shoes are also designed for performance with a Segmented Crash Pad that provides shock absorption and a comfortable stretch mesh upper that cools you down without making you uncomfortable. The Brooks Ghost 11 Running Shoe is designed to put in the miles without holding you back.